Sadie Aseere comes face to face with her idol, Billy Jo Armstrong. 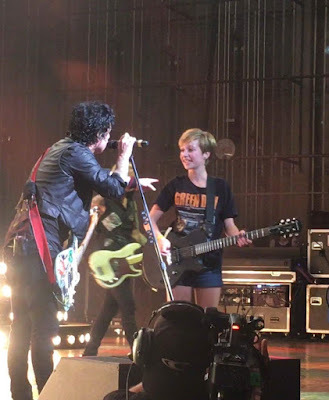 When you’re eleven, getting to see your favorite band play live is a pretty huge deal. Having great tickets and being right in front of the stage would be even bigger. But getting to meet them on stage and play with them live? That’s bigger than a solar eclipse; it's a one in a million event. 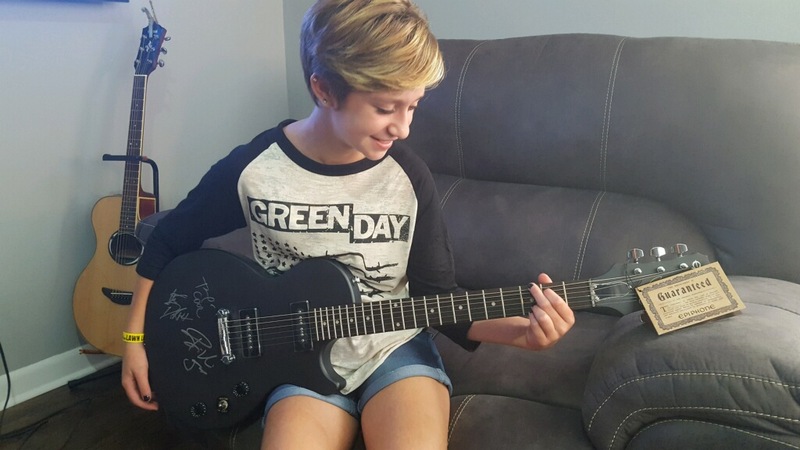 Sadie Aseere from Fort Thomas, a sixth grader at Highlands Middle School, had just that once in a lifetime experience this past weekend when she played guitar live on stage with her idols, rock megastars Green Day, in front of around 20,000 music fans at Riverbend Music Center. Sadie with her new, most prized possession. 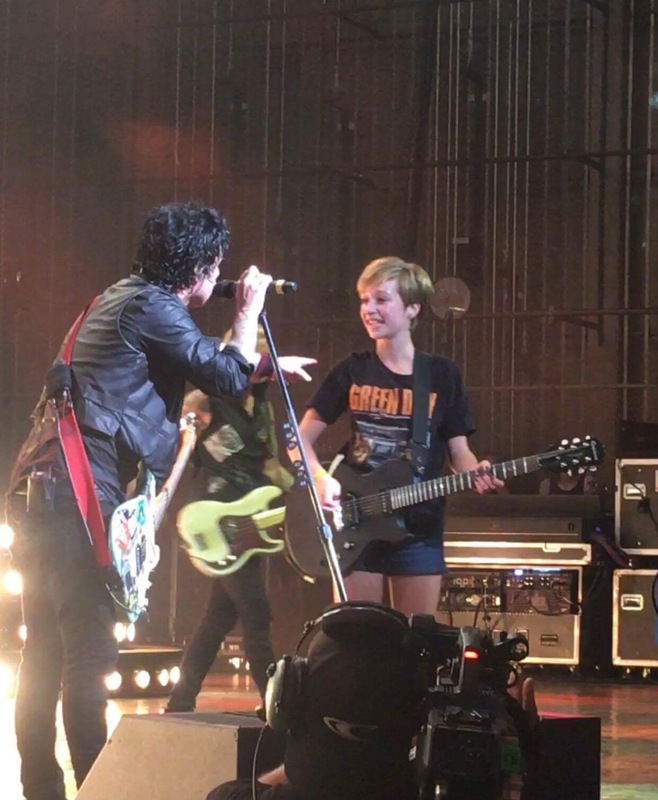 Sadie and Jenni, her Mom, are both big Green Day fans. “I grew up listening to them, Sadie surprised me two or three years ago by saying 'There’s this band that I like,' and I already knew all the songs and most of the words.” Jenni and her husband Dan had bought Sadie tickets to see Green Day at Riverbend as a reward for getting straight As last year at Woodfill Elementary.